If you have a pet, you may want to fully understand how they feel or think. This is where pet psychics come into play. Pet psychics can communicate with your pet directly or indirectly through their soul or energy and can tell you what your pet really feels. Pet psychics work using both ESP or extrasensory perception and clairvoyance to interpret what your pet feels or thinks. He or she may also use telepathy to communicate with a pet’s soul. Another technique used by pet psychics is electromagnetic energy reading similar to what reiki healers do. Are pet whisperers and pet psychics the same? Well, yes and no. 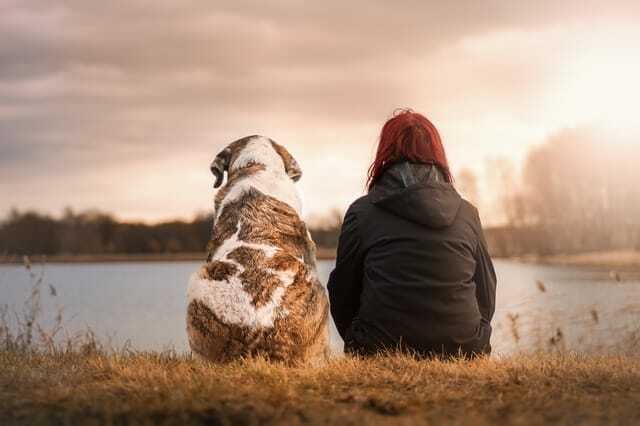 Both pet whisperers and pet psychics have the ability to understand and connect with your pets. They can see pet behaviour and know how your pet feels. However, pet whisperers normally use your pet’s body language as cues to interpret what your pet feels or thinks. They need to observe the pet physically in order to know your pet’s temperament and what it needs. On the other hand, pet psychics go beyond just the physical aspects related to your pet. Some pet psychics can really communicate with your pet’s soul and talk to them via telepathy. On the other hand, others use the pet’s energy or aura as a means of interpreting your pet’s messages. Just like with “human” psychics, there are also many different kinds of pet psychics. Pets are sentient beings and thus different skills are needed in order to communicate with them. A pet telepath is a person who can communicate with a pet telepathically. He or she can “talk” to the pet over a vast distance and may not need the pet’s physical presence in order to establish a communication between him and the pet. Communicating telepathically with a pet can allow a psychic to know how the pet feels or thinks. He or she can also help with pets who are missing and need prodding to go home. Telepaths can also communicate with pets and relieve their sadness or grief. Some pets who have had other pet companions who have died may need reassurance and telepaths can help them with that. Your pet has an aura, just like you. And knowing how is energy is moving can help someone know if his or her pet is happy, sad, sick or healthy. Also knowing your pet’s aura can help you know your pet’s temperament as aura colours have different meanings. On the other hand, there are also those who use a pet’s electromagnetic energy to get to know him or her. As you know everything or every being has energy and thus we all emit electromagnetic waves. Different impulses in these waves indicate different feelings and temperaments in our pets. Sometimes when a pet dies, we would like to know how they are doing in the afterlife. Pet mediums can help us with that. We can consult them to intercede between us and our pets and provide comfort in times of grief. Pet mediums are most helpful especially when a pet suddenly dies and we are not able to say goodbye to them properly. They can also assist the pet in crossing over into the other side of the rainbow bridge. 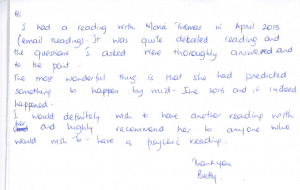 Why Should Consult A Pet Psychic? Pets are not just animals, their family members to most of their owners. A lot of people treat pets like they would treat children. They are loved and cared for and thus knowing about their well being is just important. So why would you consult a pet psychic? Well because you love your pet and you want to know if he or she is OK.
1. Your pet is missing and you want him or her to go home. 2. Your pet is sick and you don’t know if he or she wants to live and fight or he or she is in too much pain is would like to end the suffering. 5. You’d like to communicate with a departed pet via a pet medium. Pets are not just pets to most of us pet lovers. We feel that they are connected to us much like friends or family members. Looking out for them is our responsibility and so getting help in understanding them more can help us take care of them. Please pass on my thank you to Maria. It was a good reading. When would you recommend a second reading?